My neighbors’ dog bit my child, but I don’t want to sue my neighbors. What can I do? 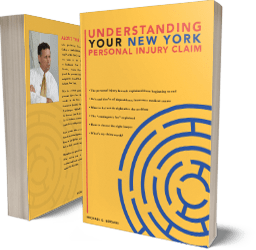 Our Syracuse New York injury lawyers handle lots of dog bite cases. Who pays us when we settle or win in court? If the dog owner own a home, then he probably has homeowner’s insurance. Most dog bite cases can be settled with the homeowner’s insurance without ever having to sue. Suing is your option, and if you don’t want to sue, no lawyer can, or should, make you do it. You might rather settle for less money if that means not having to sue. Your neighbor might not mind being sued, however, if he knows that the money from the suit is going to come from his insurance, and not from his pocket, and that this will help your child get full economic compensation for the injury. Do I automatically win my dog bite case? No. To succeed, we need to show that the owner of the dog knew or should have known the dog had “vicious propensities”, which usually means the dog had bitten, or threatened to bite, before. The dog owner might also claim that you somehow provoked the dog (this defense is often used against children who are bitten by dogs). There are many other defenses to dog bite cases. How do I prove that the dog who bit me had “prior vicious propensities” that the owner should have known about? Even if the owner claims he had the most gentle, people-loving dog on the planet, and that it is a complete mystery why he suddenly bit you, a good investigator may be able to find contrary evidence. At Michaels & Smolak, in appropriate cases, we send skilled investigators to talk to the neighbors, mail carriers, UPS delivery people and any others who might have personal experience with the dog. What if a dog runs in front of my motorcycle or car causing me to have an accident? . Under certain circumstances, a dog owner may be held liable. Unfortunately, New York law in most circumstances requires that you show the owner knew or should have known that the dog had, in the past, obstructed or bothered traffic. It is not enough to show simply that the owner failed to tie the dog up, or accidently allowed the dog to escape from a leash. What about Injuries Caused by Other Animals? In New York, if an owner of a cow or other large animal negligently lets the animal wander in the roadway and you strike it with your car, he can be held liable. Likewise, if other large farm animals cause an accident, the owner may be held liable under certain circumstances. As for injuries caused by other domestic animals such as cats, the courts generally apply the same rules as those regarding dog bites. If someone choses to harbor a “wild” or dangerous animal, such as a bear or a tiger or a venomous snake, they will be liable for any injury the animal causes, regardless of whether they were “negligent”. We call this “strict liability”. You can see from the above that what you have to prove in animal attack or bite cases depends on what type of animal injured you: A farm animal, domestic animal such as a dog or cat, or a wild animal. Because these rules are “tricky”, you are best off consulting early on with a Syracuse New York dog or animal bite/injury lawyer. Call us for a free consultation.